On December 7 – 18, 2009, leaders from 192 countries met in Copenhagen to negotiate a limit on fossil fuel emissions that are causing our planet’s climate to change. They failed to reach an agreement at that time, and there is still no international agreement, although China and the United States (the world’s two biggest carbon emitters) did sign a historic climate accord in November of 2014. The best science out there says that 350 is the safe upper limit for carbon dioxide in our atmosphere. Scientists measure carbon dioxide in “parts per million” (ppm), so 350 ppm is the number humanity needs to get below as soon as possible to avoid runaway climate change. 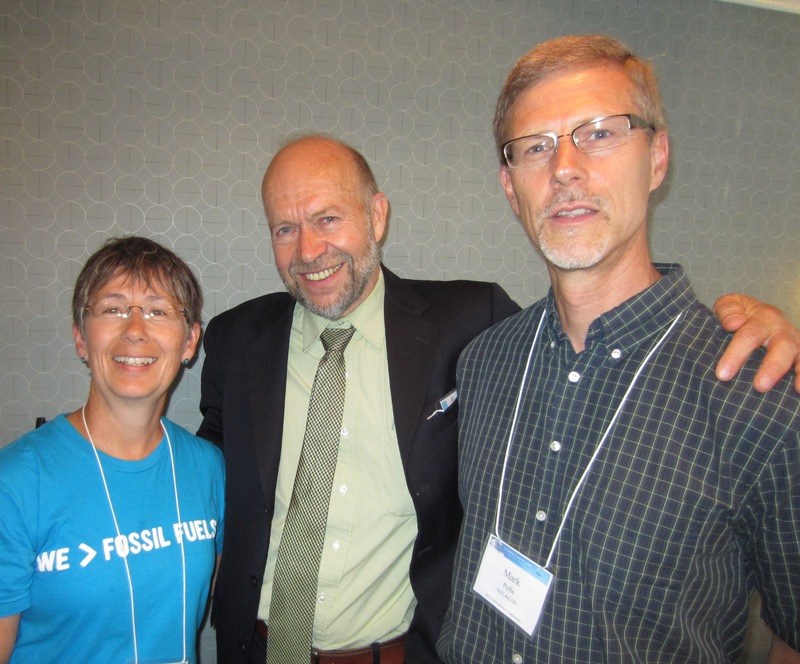 Don’t just take my word for it – check out this link to the scientific paper presented by NASA scientist Jim Hansen at American Geophysical Union annual meeting in December 2007. You could also check out this article at Grist.org which includes a list of the scientific organizations that endorsed the 2001 IPCC report on anthropogenic climate change. Or, if you prefer the data translated into layperson’s terms, check out Bill McKibben’s blog entry, “The Science of 350, the Most Important Number on the Planet”, or this summary of the science at 350.org. It was McKibben’s organization, 350.org, that inspired me to become a climate activist in the fall of 2009. I’m not a scientist or an expert in climate change. I am a regular citizen, a mother who would like to see a habitable planet for my children, and all future generations. I worked as a registered nurse for over twenty years before returning to school to complete a degree in education, and I now work as a researcher and writer. I believe that climate change is a moral issue, and building the grassroots global movement for an ambitious, fair, and binding global climate deal is the most important thing that any of us can be doing at this time in human history. We have the unique opportunity to be part of what Paul Hawken calls the awakening of the immune system of the planet, the vast and nameless uprising of peoples and organizations fighting for justice, future generations, and biodiversity. There is no higher calling. In the fall of 2010, I and two other Canadians, Cathy Orlando and Cheryl McNamara, started the first three chapters of Citizens’ Climate Lobby in Canada, in Toronto, Sudbury, and Red Lake Ontario. Three years earlier Marshall Saunders, a retired real estate broker and Grameen Foundation Humanitarian Award Winner, founded Citizens’ Climate Lobby after he saw a lack of citizen engagement with government on the issue of climate change (you can read more about Marshall’s founding vision on CitizensClimateLobby.org). 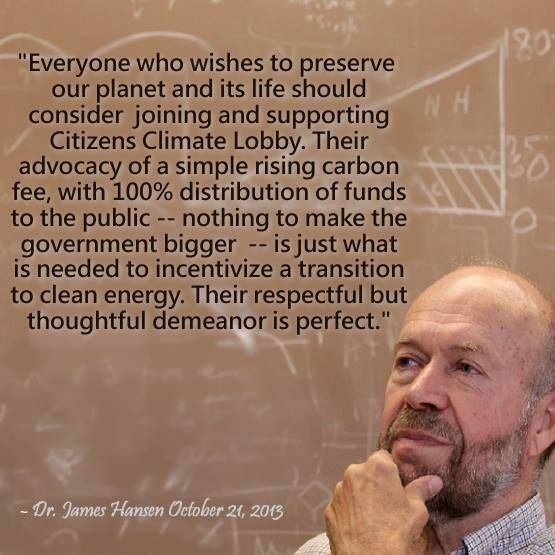 Since then, CCL has been growing exponentially, and retired NASA climate scientist Dr James Hansen has become one of our biggest champions. Citizens Climate Lobby is focused on creating the political will for a liveable climate by empowering regular citizens like me to participate in our democracy, and giving us the tools to do so in a more skillful way. It is the cure for climate trauma, an antidote to hopelessness and despair. This is from Menno Creation Care Network. I am listing your congregation and mentioning your blog in the next MCCN newsletter, but I’m not sure where you are. I thought Hope Mennonite was in Winnipeg, MB, but I have an email from you that indicates you are from Red Lake, ON. Please help sort out a confused American. No problem, Jennifer – check your email! btw i was forwarded over here through scottbar…something LOL (dont mind scott im screwy with names)…i am finding more and more canadians everyday! Hello Christine, I visited your blog and found your content stimulating. My blog will feature something similar, from an engineering and LEED point of view. All the best and hope to read more of your articles. Hi! 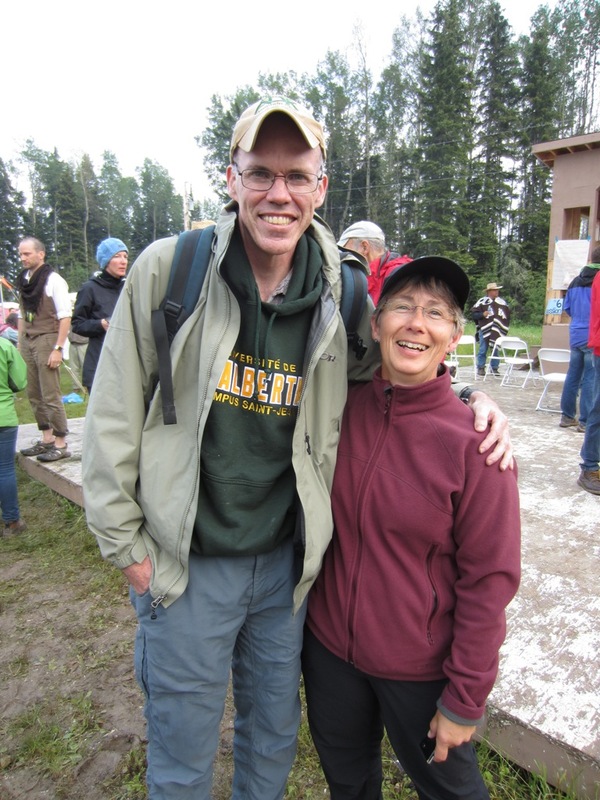 I heard about your blog while reading the latest issue of Canadian Mennonite and thought I’d check it out. The interview was very interesting and I look forward to reading more about your very worthwhile mission. So glad you dropped by, Katherine – you’ve got a great blog yourself, and an adorable little boy – definitely worth keeping the planet habitable for! How lovely – thank you Andrew. Now I will need to get busy and respond appropriately! Love your site. It’s such a treat these days to meet rational Canadians. All the best. Thanks for dropping by – and don’t give up, there’s more of us out there than most of us realize (and than is reflected in the MSM these days). We’re just not as organized as the neocon nutbars :(. But that can change! Thank you for the words of encouragement. Cheers. I presume you are asking specifically about Dr Hansen’s statements on nuclear power, hence the two links above. Citizens’ Climate Lobby is officially “agnostic” with regard to the best type of energy sources to replace fossil fuels. Dr Hansen sees a place for nuclear in the future, personally I’m not fond of nuclear energy because of the byproducts which are produced. Once there’s an honest price on carbon, and no energy subsidies of any kind, the market will decide which is the best and cheapest way to replace fossil fuels. Thanks for your response, Christine, I agree with a carbon price. I believe the markets will likely favor reliable 7×24 baseload electricity, none of which some low carbon options are capable of. I believe some don’t consider mining (including rare earth elements), material, manufacture, shipping, basically “cradle to grave” analysis of some electricity sources, for example http://jmkorhonen.net/2013/11/29/graphic-of-the-week-the-hidden-fuels-of-renewable-energy/ and http://achemistinlangley.blogspot.ca/2014/12/on-renewables-and-compromises-part-ii.html . I highly recommend reading all five parts of this “Getting to Zero” series http://www.dailykos.com/story/2014/12/31/1354811/-Deep-Decarbonization-report-high-renewable-path-costs-4x-more-than-high-nuclear-alternative One last point, I am impressed with this Royal Commission being undertaken in South Australia, the four Issues paper are well researched and written, great questions. http://nuclearrc.sa.gov.au/#fndtn-external-commission-visits I look forward to your response, Christine, thanks. Thanks for all the links, Todd. Hopefully I will get a chance to review them soon. Thank you for your Mother’s Day sermon. Would we have permission at CommonWord – http://www.commonword.ca (Mennonite Church Canada Resource Centre) to repost the video and transcript you have online? We would reformat the transcript into a PDF document (but would otherwise leave it as is). Yes, of course, thanks for asking, and for sharing it, Arlyn.